We've heard rumours that Apple is gearing up to release a trio of handsets at the end of the year, with a 4-inch iPhone 5c amongst the bunch. Apple shook the tech world when it launched the iPhone 6 and iPhone 6 Plus last year, and will do so again when the Apple Watch rolls out April 10. Now rumour is, Apple has bigger plans for 2015. A DigiTimes report claims Apple is going to release three smartphones in its usual September slot this year, including an iPhone 6s, iPhone 6s Plus and iPhone 6c. Do note however that DigiTimeshasn't got the best track record, so we'll see how the news plays out in the coming months. Mystery sources also told the publication that each device will come with Corning's Gorilla Glass 3 protection, NFC and Touch ID fingerprint sensors. Apple will also reportedly partner with Japan Display for the three iPhones whilst Sharp will also chip in for the iPhone 6s Plus. The report even states that a new A9 chipset will be packed into the iPhone 6s and iPhone 6s Plus, while the iPhone 6C will get the iPhone 6's A8 processor. 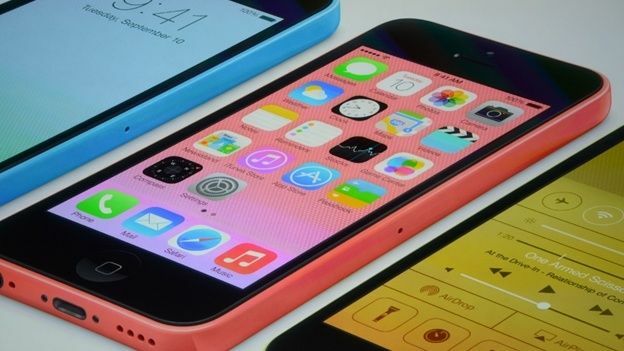 Obviously the main talking point is the iPhone 6c. Now Apple has moved onto larger displays with the iPhone 6 models, it will be quite a shock to see it throwback to the iPhone 5c with a new 4-inch handset. Would there actually be a demand for it? Well, arguably so. If people want a small, budget handset nowadays, they tend to buy an Android phone. But if Apple brought back the plastic casing, cut down production costs and gave it a low-end price tag, then we could imagine the iPhone 5c on many a Christmas list. Stay tuned for more news on the iPhone trio.